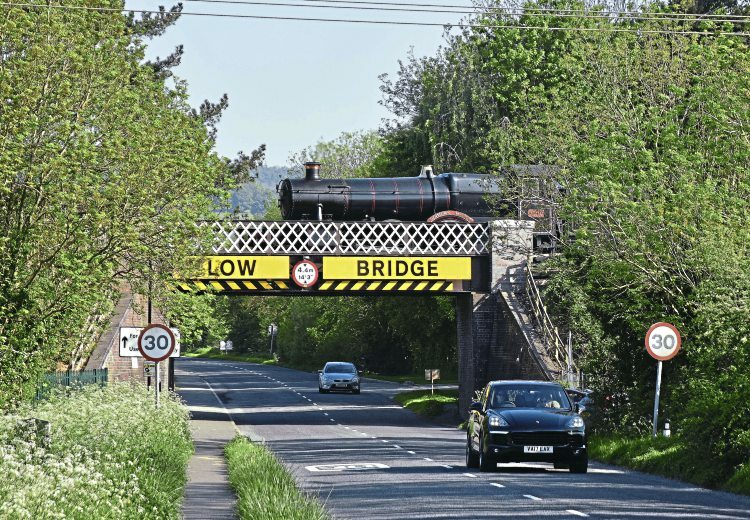 THE Gloucestershire Warwickshire Steam Railway (GWSR) has described the latest lorry strike on the rail-over-road bridge at Broadway station as “frustrating and infuriating”, after the newly restored structure was hit again on May 1. On this occasion the driver of a flatbed articulated lorry approached the bridge, which carries the railway over the B4632 Station Road/Evesham Road, unaware the machinery load on his trailer was taller than the 14ft 3in-high span. As the lorry passed beneath the load struck the bridge and fell into the road, which was subsequently closed for several hours while recovery was undertaken. The driver admitted to railway officials and the police he did not know the height of his load. It was the 14th time the 115-year-old bridge has been hit by an over-height load/truck since the completion of its £250,000 restoration in 2014; an average of one every three months. Substantial repairs had to be carried out in September 2016, costing about £16,000, but a series of further strikes followed, including a severe one in January of this year that cost in excess of £56,000 to repair.